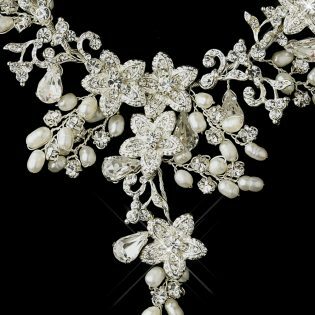 The Glamorous Pearl & Rhinestone Floral Bridal Jewelry Sets feature a beautiful and glamorous design combining ivory pearls and clear-cut rhinestones, and a floral silver vine embellishment. Delicate wiring in both the necklace and earrings ensures that all you see are the patterns of delicate pearl and rhinestone flowers, floral silver vines, and pearl and rhinestone leaves. These fabulous floral bridal jewelry sets are sure to shine and you’ll look absolutely gorgeous on your wedding day with these beautiful necklace and earring sets! 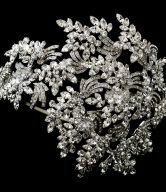 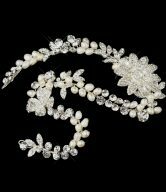 The Glamorous Pearl & Rhinestone Floral Bridal Jewelry Sets are perfect for any classic modern bride! 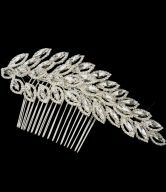 Pair them with an ivory or white wedding gown, bridesmaids ensemble, or formal dress, and all eyes will be on you. 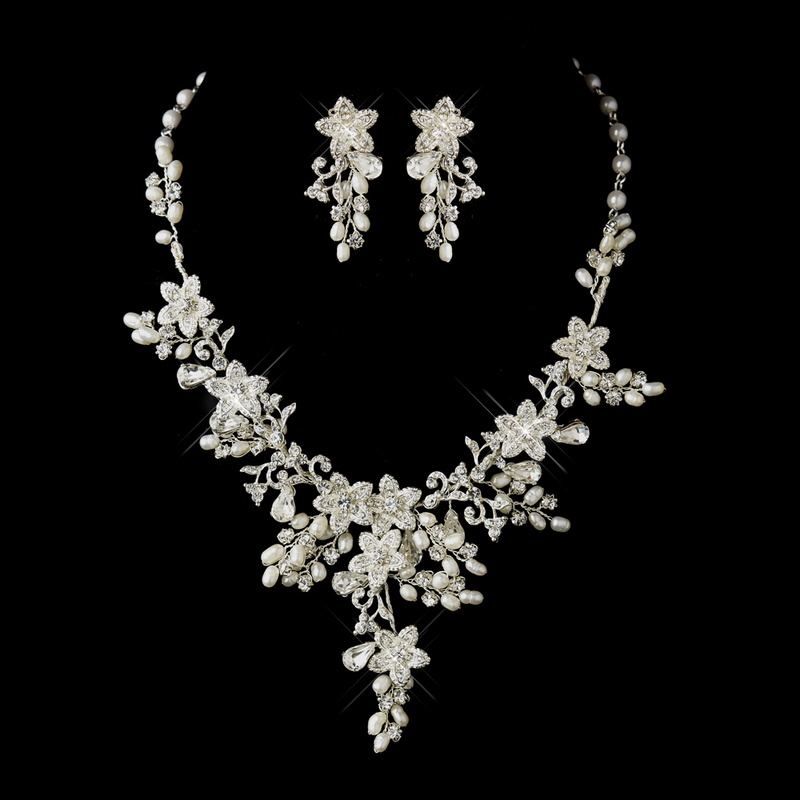 The necklace measures 17″ long with a 2-1/2″ long drop, while the dramatic matching earrings measure just over 1-3/4″ in length. 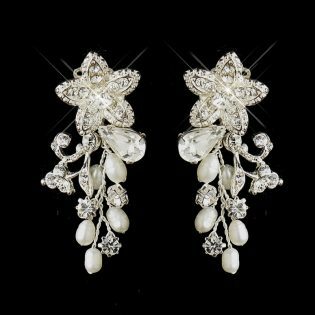 The earrings showcase the same pearl and floral silver vine embellishment, adding a subtle glow to any special occasion gown. 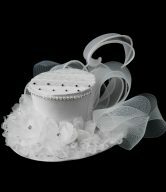 All these features make the set complete and perfect for any occasion!